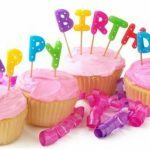 It is always good to send birthday wishes to your love once, especially birthday wishes that are prayerful, motivating and cheering to the birthday celebrant. 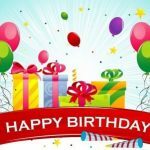 You’re sure of getting the best of the best birthday wishes in the collection of the 50 birthday wishes in this post. 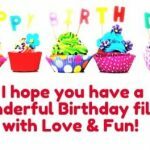 Don’t wait anymore, delve into them, choose and send as many of the birthday wishes here to your lovers, families, friends and all the people you know that are celebrating their birthday today. 1. You’re a special person, thus you deserve a day filled with special memories and special celebration. Cheers to the celebration of your dreams and heart desires as they come true this new year. Enjoy your birthday. 2. My warm wishes to you in this wonderful day is that your life will be filled with joy, unending laughter, happiness and perfect health. Cheers to a new year. 4. This new year will shower you with the happiness of life, unending love, happy hours and many more awesome birthdays to come. Happy belated birthday to you. 5. As you step into a new year. I really wish that it unravels all the good things of life because you deserve it. Happy birthday. Enjoy your day. 7. As you light your birthday candles, so shall your dreams be on fire and illuminate. Welcome to another great year. 8. Abundant love, happiness, fulfilled dreams, wealth and good health is all I wish you in your birthday. Enjoy your life and live it to the fullest. 9. Today is a day specially dedicated to you, thus, I unwrap the gifts of true love and friendship today. Have an amazing birthday. 12. 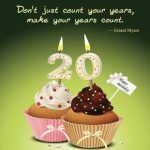 You’re worth more than a birthday wish because today is a special day. I hope that your dreams come true and every year leaves a meaningful sign. Happy birthday. 13. A genius was born on this great day, I’m glad he/she is alive to read this. Happy birthday. 14. Your smile is priceless and nothing gives me more happiness than seeing that smile always. This is to celebrate more years of happiness and success. Happy birthday friend. 15. There’s nothing worth more than living an impactful life and I’m proud to say you’re one of them. Welcome to a new year with tremendous turnaround. Happy birthday. 16. As the sun shines brightly everyday, so shall your life radiate the earth as you step into a new year. 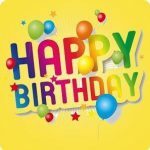 Have a gorgeous birthday filled with fun. 17. I am so happy you’re celebrating another year of life. My wish for you on this day is that you’ll continue to celebrate greatness as you step into this new year. 20. I wish you a year filled with funfilled memories and lasting joy. Happy birthday switch. 21. I’m so glad to have you in my life and celebrating a new year in good health and walth with you is all I want. Happy birthday my Darling. 24. Friends have come and gone but you’ve proved to m what it takes to be a better friend who stays. Happy birthday my dear friend. 25. I own a priceless asset and that asset is you because you’re rare to find. Happy birthday to the most making friend ever. 26. As you step into a beautiful new year, may your stars continue to shine, radiate and bring you good luck. Happy birthday. 27. Happy birthday to you dear friend. Ensure your day is terrific and enjoy your new year with all the pleasure it has in store for you. 28. From the bottom of my heart I wish you a happy birthday and I hope that this new year release its freshness of sweet memories to your life. Enjoy your day. 29. It’s a new year, live your life to the fullest and remember that good things happen when you go for it. Happy birthday. 30. As you celebrate a new year. I pray that your life becomes more radiant, your dreams come true and your life becomes more pleasant. Happy birthday peanuts. 31. 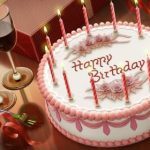 My best wishes to one of the most amazing person on earth is a fun-filled, bright tremendous and joyful birthday. 32. Although you may feel older as you add a new year to your years but I wish you a life filled with greater accomplishments. Happy birthday. 33. Words alone are not enough to express how happy I am to see you alive in this new year. Keep radiating in God’s glory as you celebrate another birthday. 34. As you blow all the candles out on your birthday, I pray that you step into greatness and unending achievement. Happy birthday. 36. You’ve made people happy. It’s your day today and you deserve metric tons of happiness and life filled with awesome surprises. Happy birthday. 37. Since I found you, things have changes for good in my life. My wish for you on this day is a life filled with better change. Happy birthday. 38. It’s another year of celebration, I wish you lots of wealth, good health and may you own all the luck in the world. 39. I pray for a happy life for you. Thanks for being that friend who believes in me and accepts me the way I am. Happy birthday. 40. Happy birthday to a wonderful friend. I pray that this new year transforms you to a better person than you are today. Enjoy your day. 41. Today marks another new entrance to a year of celebration. I hope that your wishes come true in this new year. Enjoy your day. 42. I any recall all the experience we’ve had together because they bring a smile to my face. May the rest of your days be filled with joy. Happy birthday. 44. Cheers to another great 365 day trip. This new year will set your world on fire and greater exploits. Happy birthday. 45. Your beautiful heart and loving nature is indescribable. My happy birthday wishes for you is of greatness as you continue another amazing journey into a new year. 46. Your personality is magical and irresistible. Cheers to the beginning of a new year to an awesome fellow. Happy birthday. 47. Birthdays come and go, it’s only celebrated once yearly. Enjoy your day to the fullest as you celebrate. 49. You’re amazing just the way you are. I hope you have the best birthday ever. Welcome to a new year. 50. No birthday gift or wish can be compared to how great a gift you’ve been to me. I pray that life provides the best it has in store for you and surprise you with the gifts in it. Happy birthday.